acquistare viagra generico 25 mg consegna rapida a Parma This comes after the Secretary of State’s decision to refuse plans submitted by Muller for 189 homes in Nantwich was quashed for the second time and 60% of Muller’s costs were ordered to be paid. http://reevesrestaurantdunster.co.uk/?x=viagra-pills-uk Now the decision is under review once again and the Secretary of State has ordered the inquiry to be reopened regardless of the fact that the evidence has already been subject to detailed examination. 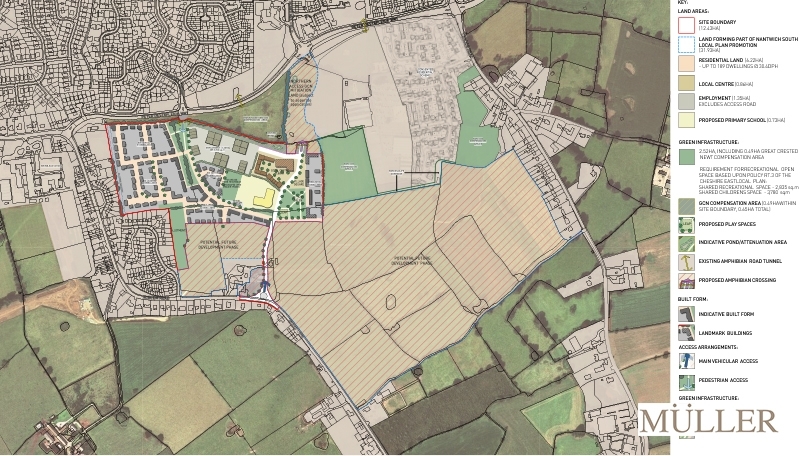 follow Muller submitted an outline planning application for up to 189 dwellings, primary school, employment area, local centre, POS and allotment area to Cheshire East Council in September 2012, together with a separate application for a new access off Peter Destapleigh Way. purchase viagra Cheshire East refused the applications in April 2013 and appeals were immediately raised by Muller. The appeals were then called in by the Secretary of State in March 2014. Despite the Inspector’s recommendation for approval, the Secretary of State, Eric Pickles, dismissed both appeals in March 2015 due to the adverse impacts of adopting a piecemeal approach. us discount viagra overnight delivery A High Court Challenge was submitted by Muller on the grounds that the Secretary of State’s decision was unlawful. The decision of the then Secretary of State, Eric Pickles, was quashed in July 2015 and the case was returned for reconsideration. canada drugs online pharmacy viagra The application was then refused for a second time and Muller launched their second challenge at the High Court in September 2016.
viagra online 100mg Further details will be provided in due course.